BBC’s Countryfile asked viewers in 2012 if GM trials should be allowed to go ahead in the UK; 79% said no. A 2012 MSN poll recorded that 67% said they did not want GM crops grown in this country. A survey by food industry magazine Food Navigator in 2012 found that 73% said they favoured a ban on GM food in the UK. 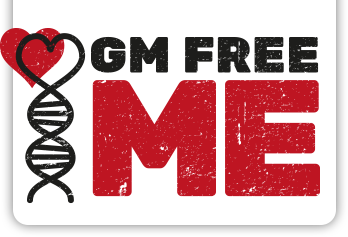 The Guardian newspaper reported in 2013 that 72% of readers said they do not believe GM food is either safe or beneficial. Six months later the Guardian ran another poll – should restrictions on GM crops be relaxed? – 71% said no. A 2014 YouGov poll found that 46% of adults had negative views about GM. In addition the number of adults who felt the UK government should not be promoting the adoption GMOs was 40% – nearly double the 22% in favour of such promotion. In 2015, the Food Standards Agency (FSA)’s Biannual Public Attitudes Tracker listed GM foods as one of the top three spontaneously mentioned food safety concerns..
By 2016 the FSA Consumer Attitudes Tracker Survey revealed that public concern about GM food rose to 27%, up from 22%. In 2017, when asked about their environmental concerns post-Brexit’, 61% of Conservative voters polled said they wanted a ban on the production of GM crops. Even among those who said they would like to grow GM crops nearly a quarter (24%) said they see “no advantage in growing GM crops” – which begs the question of why they would want to grow them in the first place. In fact, only 15% of farmers said they would eat GM, and investment in GM was ranked last among farmers’ priorities for Government attention. What do our politicians think? The proof is in the pudding. The restaurants at the Houses of Parliament have banned GM food since 1998 as a matter of “consumer choice”. Our elected representatives are already GM Free. So, if they don’t want to eat it, why are they asking us to?